We have all been there. You turn on your iPad in class or for a meeting, you see the icon in the corner - battery is at two percent. What can you do to maximize that last bit of battery juice? How can you prevent a low battery situation? Here are six quick tips to help your battery last longer. A new feature in iOS 8 allows you to view the apps are using the most battery life. Click on Settings —> General —> Usage —> Battery Usage. 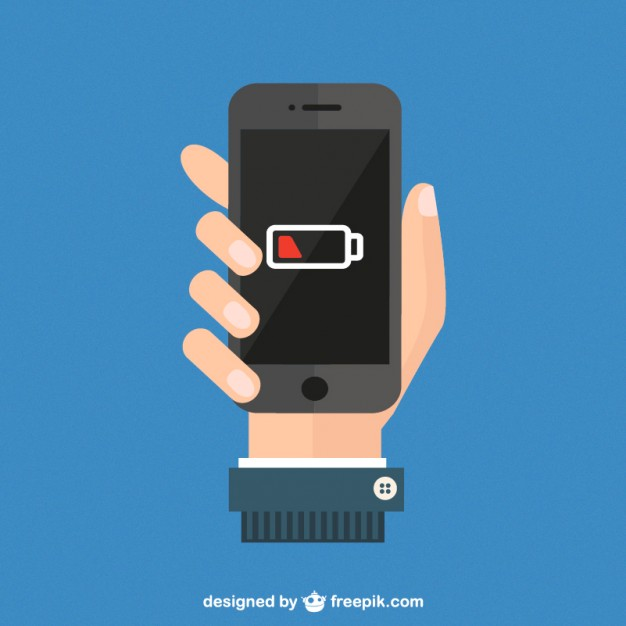 Apps that are using up your battery life should be closed when not in use or deleted if they are not essential. Some apps run in the background even when you are not actively using them. This is convenient when you are multitasking, but it drains battery life. Go to Settings —> General —> Background App Refresh. You can turn off the feature in general, or select certain apps that you would like to refresh and turn it off for others. If you are using the Apple Mail app to check your email, you can manage how often the app will connect to the mail server and search for new messages, called Data Push or Email Fetching. How often the app fetches email will affect your battery life. To adjust these settings, go to Settings —> Mail, Contacts, Calendars —> Fetch New Data. If the Push setting is switched on, your iPad will connect to the server frequently to find new data. Turn this feature off to save battery life. You can then select how your data will be fetched for each account. To save battery life, select the Manual option - data will only refresh when you open the account. Alternatively, you can select Fetch, and select a fetch option that is less frequent, such as hourly. The screen display will eat up battery life if it is set to a high brightness. You can save your battery by either using Auto Brightness or by dimming your screen when possible. Go to Settings —> Display —> Brightness and turn Auto-Brightness to on. You can also access your brightness quickly by swiping up from the bottom of your screen to open the Control Center. Your battery will continue to drain while your iPad is on. Using the auto-lock feature will put your device to sleep and save on battery. You can adjust how quickly this will occur in Settings —> General —> Auto-lock. Use a quicker auto-lock to save on battery life. The feature that makes the wallpaper appear like it’s moving behind your apps is called parallax. Whether you find this to be distracting or want to reduce the huge battery drain it causes, you can turn it off. Go to Settings —> General —> Accessibility and switch Reduce Motion to on. I hope these tips are helpful in ensuring your iPad is fully functional when you need it the most! I would like to know your thoughts and ideas regarding saving the battery life for an iPad. Please feel free to contact me at: rosborne@fairmontschools.com.